Living a healthy lifestyle combines two things – eating better and exercising more. While the easting better portion can be done in interesting ways that fit your lifestyle and dietary needs, exercising is a struggle that some people constant face. The first images of getting fit always lead to a picture of a toned fitness model in the gym, which in turn causes people to believe that’s the only way to get healthy. Although, there is one relaxing exercise that can be done in a variety of ways that can suit the needs of men and women no matter this age – yoga. While yoga may be seen as an easy way to exercise, it does provide a plethora of health benefits both internally and externally. Yoga has been proved by researches to improve health-related issues, ease the pain of joints, while also preventing certain sicknesses. One yogi, a person who practices yoga, describes how she realised she had a nerve blockage in her neck and chest before a trip to India. 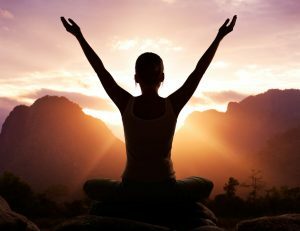 She then decided to go to a yoga retreat, under her doctor’s orders and tried out the different methods of yoga which in turn helped the blockage so much that she has been free of it for a year now. if you need more reasons to try yoga, some of the most popular ones are listed below. This is one of the most known benefits of yoga, and one of the main reasons why many people flock over to begin learning yoga. Despite the excitement, during your first few classes, you may not be able to touch your toes, bend the ways you want or stretch your hips into a split. Though it has been shown a countless amount of times f you stay determined and decide to stick with learning yoga, and flexibility can be within your reach. Plus, inflexible ligaments can lead to a string of issues relating to joint pain and poor posture. While this might be a bit less known, yoga can actually help you build strength, which helps you do the more complex balancing poses as well. In addition, having sting muscles do way more good than being aesthetically pleasing. They can also help prevent age-related illnesses such as back pain and arthritis as well. Plus adding weights t your yoga poses can help you increase your strength over time. Think of your head like a bowling ball that has to be supported by several other muscles for over eight hours a day. After a while, these muscles are going to become fatigued, pained, and cause you to just feel bad overall. Remember, having a lack of proper posture can lead to so many issues relating to joint issues and pain. Although, the straightness that is needed in yoga can easily fix these problems and relieve some of the pain after a while. The spinal discs, which serves as the shock absorbers that protects your vertebrae needs constant, flowing movement to function properly. This is how they gain their needed nutrients. Though so many yoga poses are dedicated to this part of the body and have been centred towards making you’re your spin stays as healthy as possible.